Bournemouth has a fantastic, dynamic vibe. It’s a bustling and growing centre of business innovation, creativity and investment. It’s also a top destination, with award-winning green spaces, a seven-mile long sandy beach with promenade plus a generous sprinkling of cosmopolitan cafes, lively bars and shopping. In Bournemouth, everything you need is within walking distance making it easy for you to find your way around. 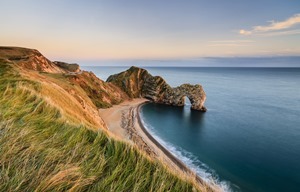 Just a few miles west of Bournemouth is the famous World Heritage Site, the Jurassic Coast, covering 95 miles of coastline charting 185 million years of Earth’s History. To the east of Bournemouth is the New Forest National Park known for its heathland, forest trails and native ponies. For more ideas of what to see and do in the region – www.bournemouth.co.uk.